To recover your password, please enter your registered email. Download some scientifically desgined worksheets ,developed by experienced academicians for self-assessment. Test Papers are uploaded by us on regular basis for self-assessment and practice These papers are designed by respective subject academicians. 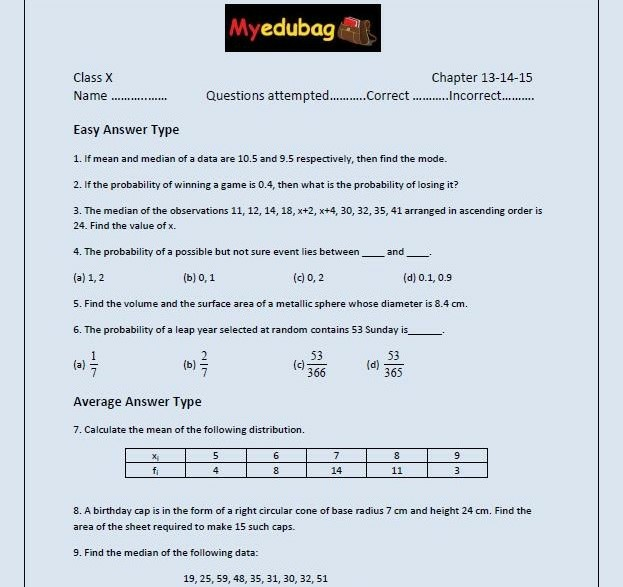 Myedubag is a platform run by IDeserve Education Private Limited,Delhi and was started as a pilot project in the year 2015.We upgraded the platform with E-Learning and fin-tech modules in the year 2017 and from 2018 we have brought some of the best talent of the industry on board who are responsible to take this platform to the schools,teachers and the students.Some schools have partnered with us to offer this service to their children and teachers.